The strong points of Microsoft’s Golf 1998 Edition lie in the customization options. 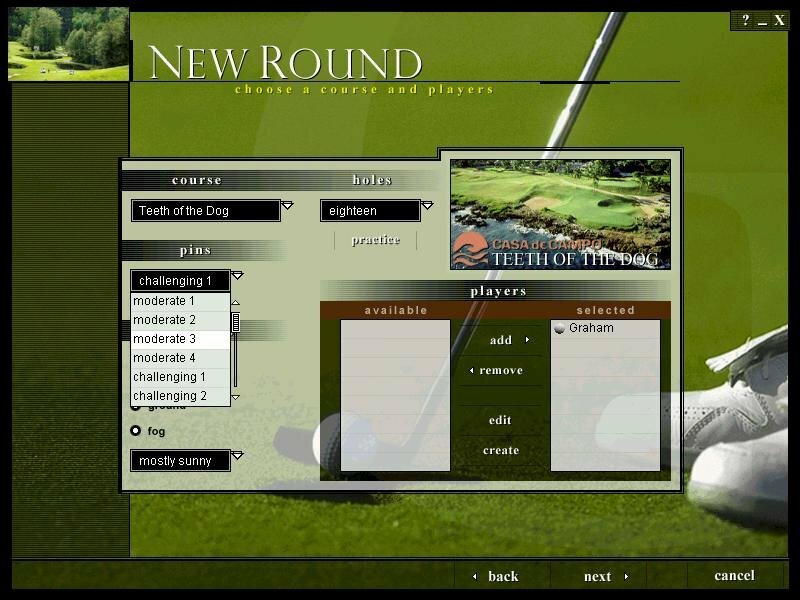 There are ten golfer models to choose from, several different game types (stroke, match, skins, etc.) and four methods of swing control. 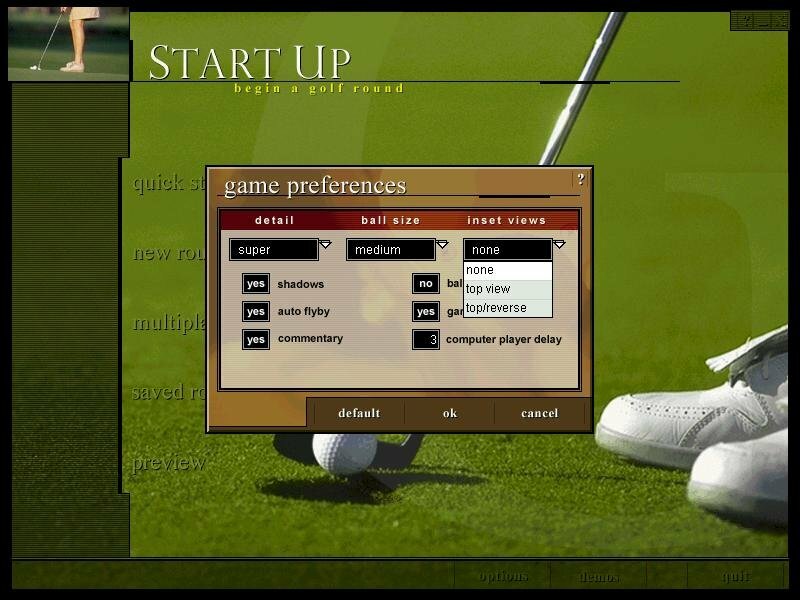 Heck, you can even choose which kind of golf ball you want to play and how far you hit each of your clubs. 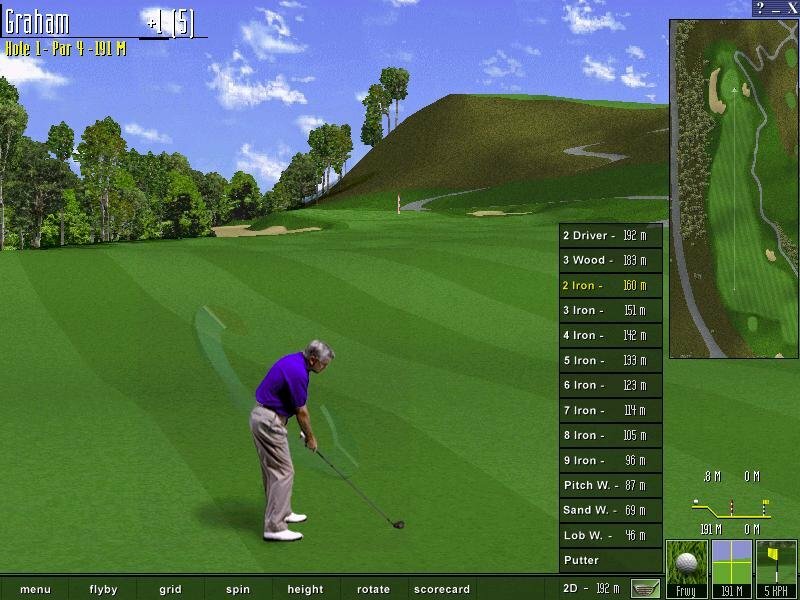 The swing methods consist of two-click, three-click, natural swing, and sim swing. 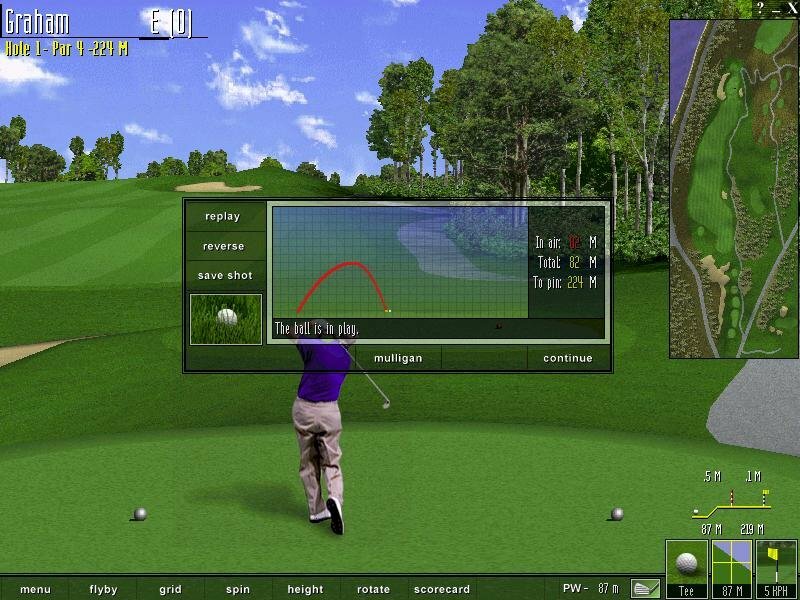 The natural swing is this game’s version of the mouse swing found in most contemporary golf titles. One new twist is that you can move the mouse in whatever direction is most comfortable for you to complete your swing, instead of being restricted to a left/right or up/down method. The bad news is that it’s not in real-time, which takes most of the fun out of it for me. The sim swing is an interesting new addition that lets you concentrate on course management, rather than actually having to hit the ball. 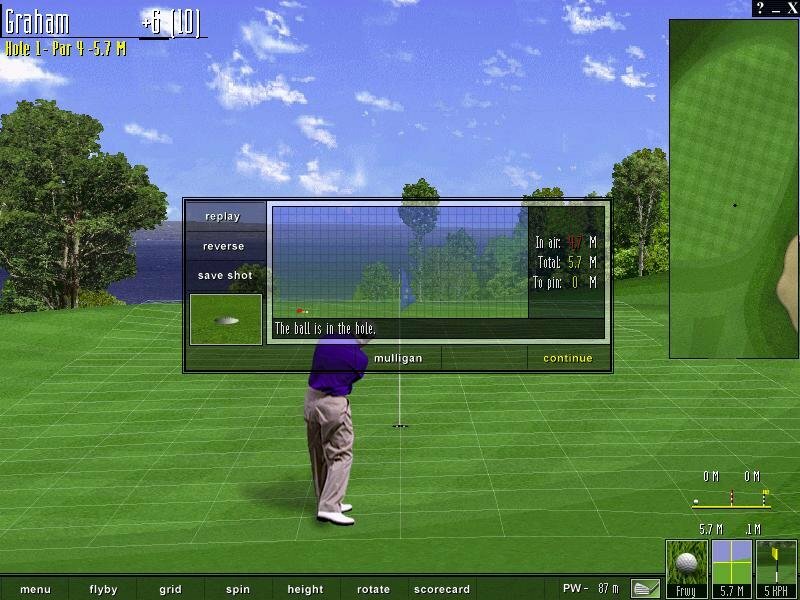 You can adjust the ratings of your golfing persona to reflect various strengths and weaknesses in your game, such as putting, long irons, etc. I didn’t find this a very compelling way to play, but more cerebral types might appreciate its inclusion. 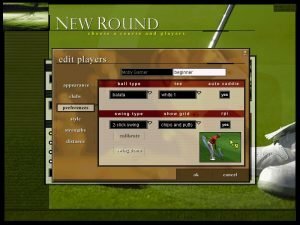 The graphics of MS Golf 1998 have a very similar style to those seen in Links LS. 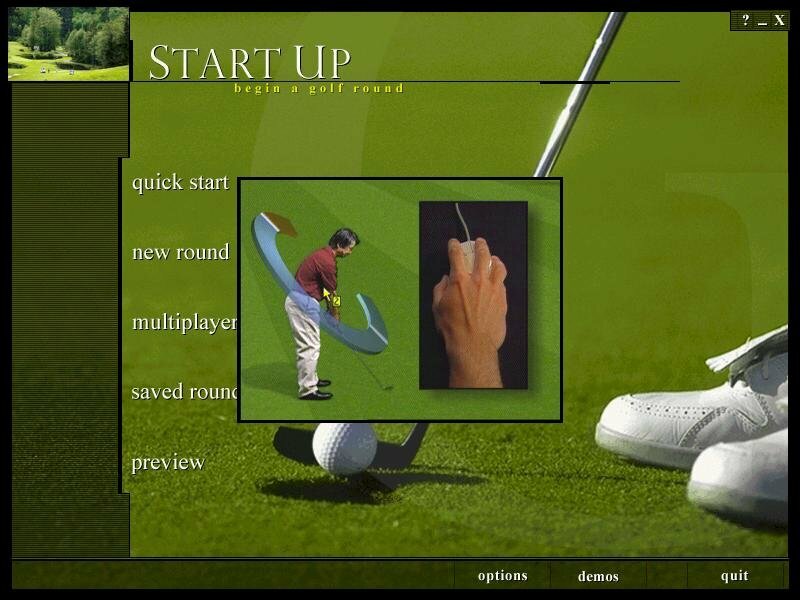 The animated golfers are even more polished than the somewhat grainy, digitized hackers that populate Links LS. The environmental sounds on the course are good, if a bit overdone. One of the funnier things about the game are the sarcastic comments from your caddie when you botch things up. Not very well, I’m afraid. The physics engine produces some very unrealistic movements. On the green, the ball seems to move in slow motion as it meanders toward the cup. And catching a piece of the oversized hole can pull back a wayward putt that was destined for disaster. Overall, the ball didn’t react to the conditions correctly, regardless of the lie, wind direction, or the adjustments I made on my swing. The click swing methods are poorly implemented. The meter is of the “arc around the golfer” type (seen in Jack Nicklaus 4 and the PGA series from EA Sports), which always tends to give me trouble when trying to gauge my swing. This is exacerbated by the blinding speed of the meter, even at the lower difficulty levels. Taking full distance shots is not that much of a problem, but if you need to make your first click lower on the power gauge (i.e. 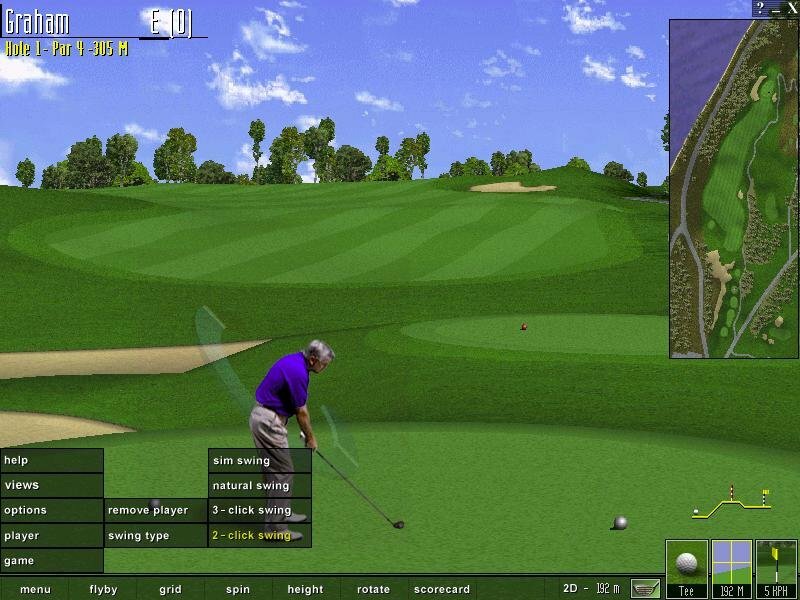 for chip shots and putts), you’ll quickly grow frustrated with the interface as you consistently over-hit every attempt. 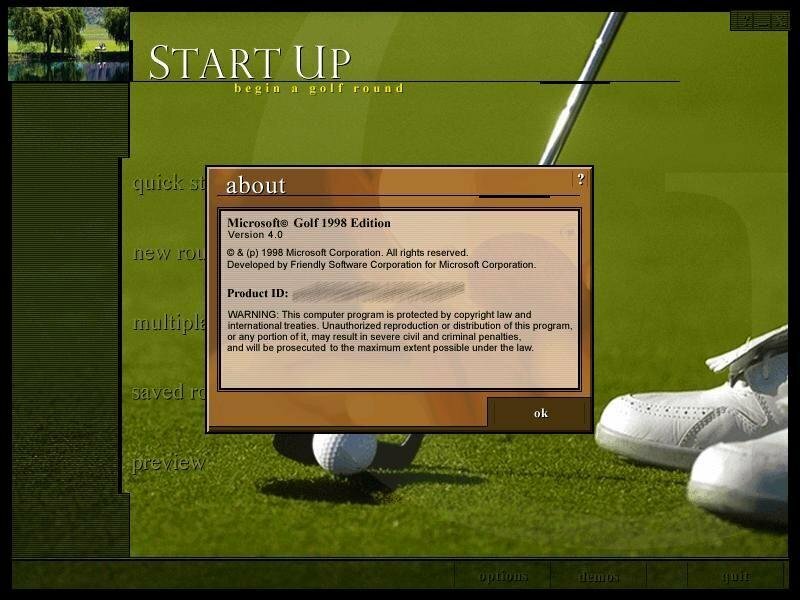 MS Golf 1998 is an average title that fails to reach the mark set by competing golf games. 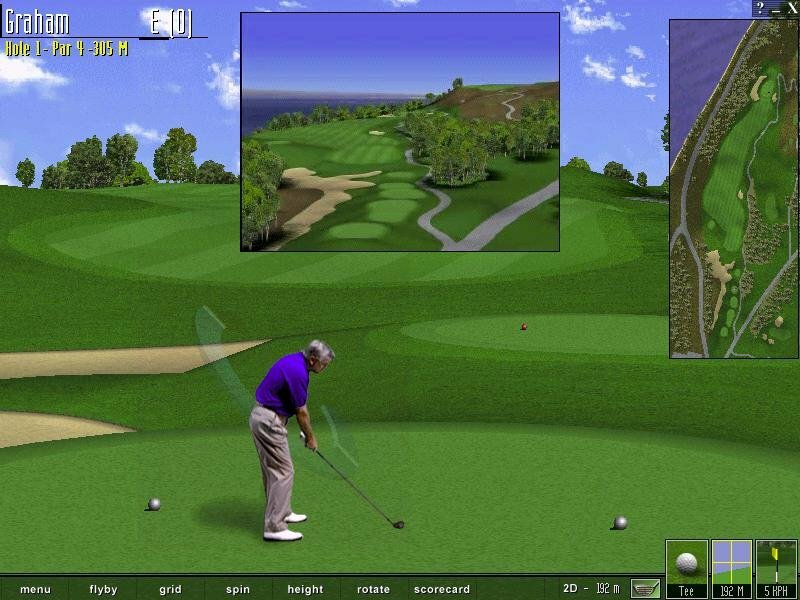 The limited course selection, questionable ball physics, and poorly implemented interface make the nice graphics and good sound wasted potential.